Ruched Chiffon Bodice with a Sweetheart neckline and Tulle Straps that cascade over the shoulders to create a veil effect. It has Rhinestone embellishment across the back shoulders. 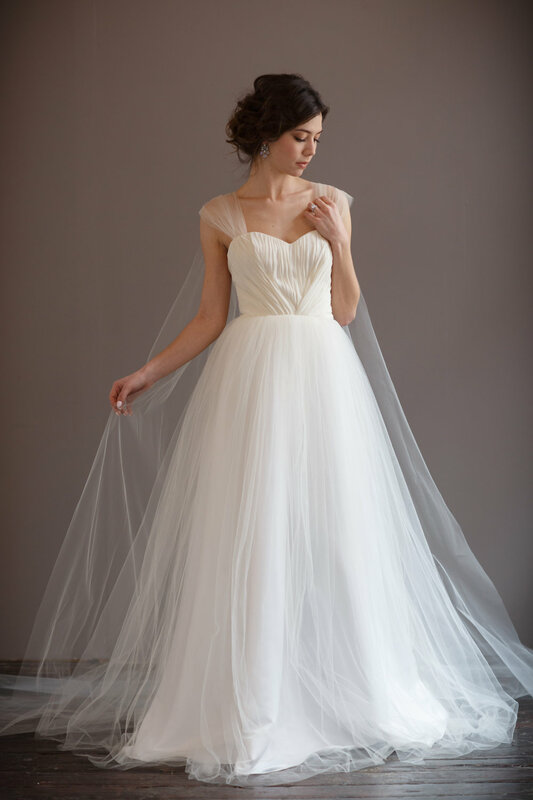 The train is a chapel length (3 feet) from veil effect, with a Full A-line skirt.